Imagine being in a submarine as it descended into the ocean’s depths. At first, you would see a bright world full of fish and plant life. However, as you descended deeper, the world would start to turn black around you. The darkness would only be penetrated by tiny spots of light. To your horror, the lights would be attached to giant toothy fish waiting to pounce. Our world is full of amazing animals that use bioluminescent light to confuse prey, scare predators, attract mates, and to see their way around. Bacteria, worms, jellyfish, crustaceans, squids and event some sharks have bioluminescent properties. 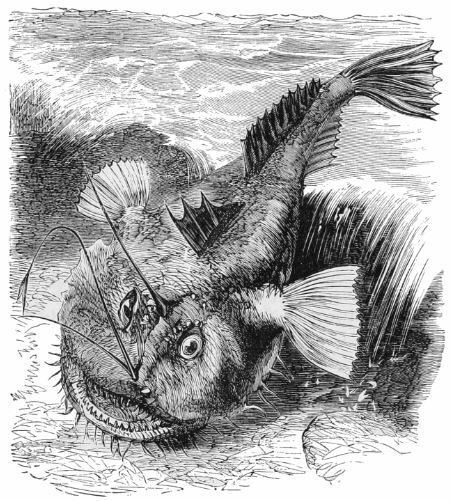 Anglership portrays the combination of steampunk technology and the majestic qualities of the anglerfish. 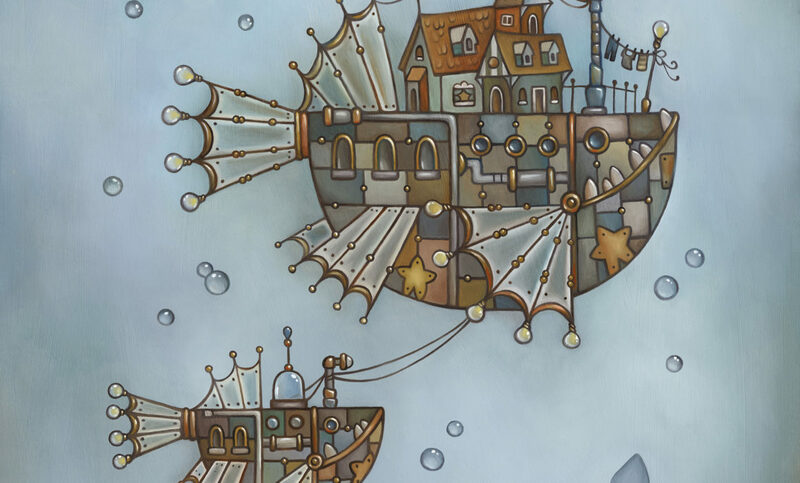 These steampunk ships come equipped with a variety of lights for navigating dark waters. They also has a large viewing scopes in the shape of the anglerfish’s modified dorsal ray. 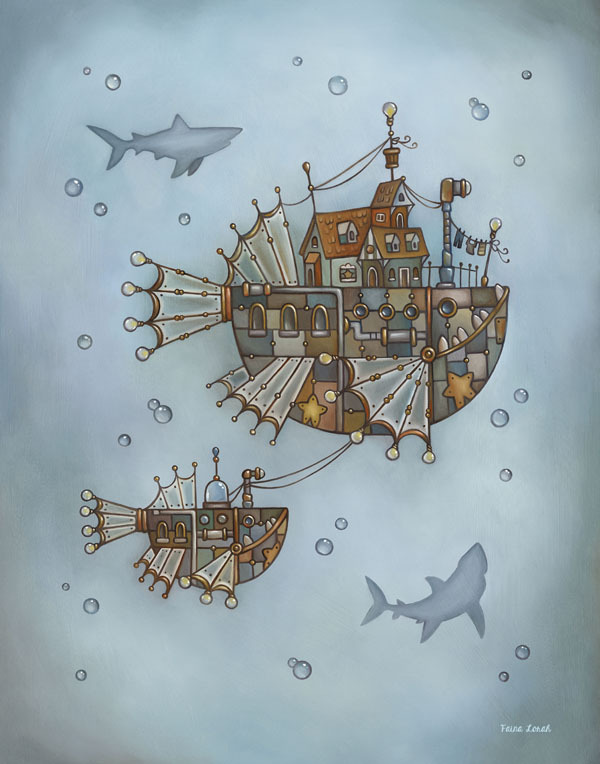 Additionally, these steampunk creations have toothy jaws that can be used as a weapon against large predators. 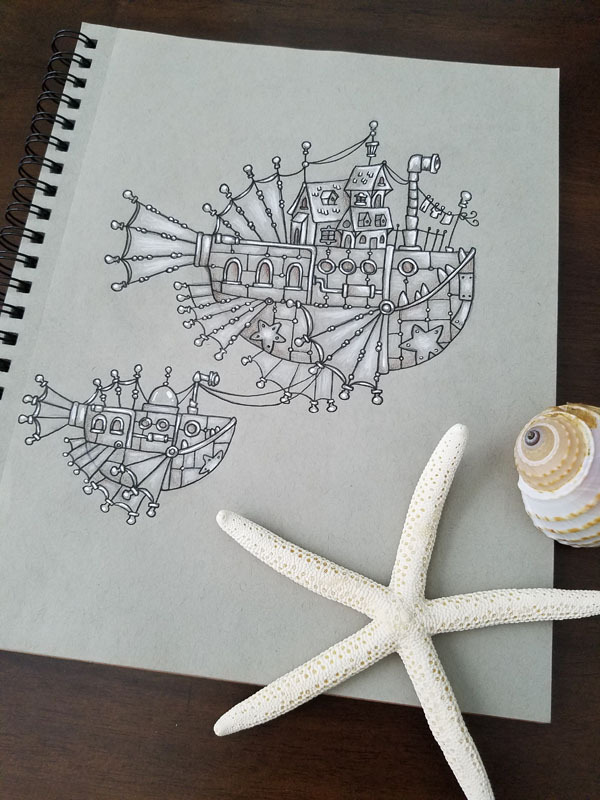 Although, the steampunk anglerships were originally designed for military purposes, they have recently been distributed to the public for domestic and recreational purposes. The call of adventure and exploration has responded in the hearts of men. And the depths of the oceans is one of the most mysterious worlds of all. With this new technology, everyday people can unravel the mysteries of the deep blue sea.